“Nooooo. I don’t even know what a ‘Sachse’ (pronounced Sax-ey) is.” Eddie is trying to give me directions to his auto body shop and it already sounds like an adventure. Maybe I should start at the beginning. 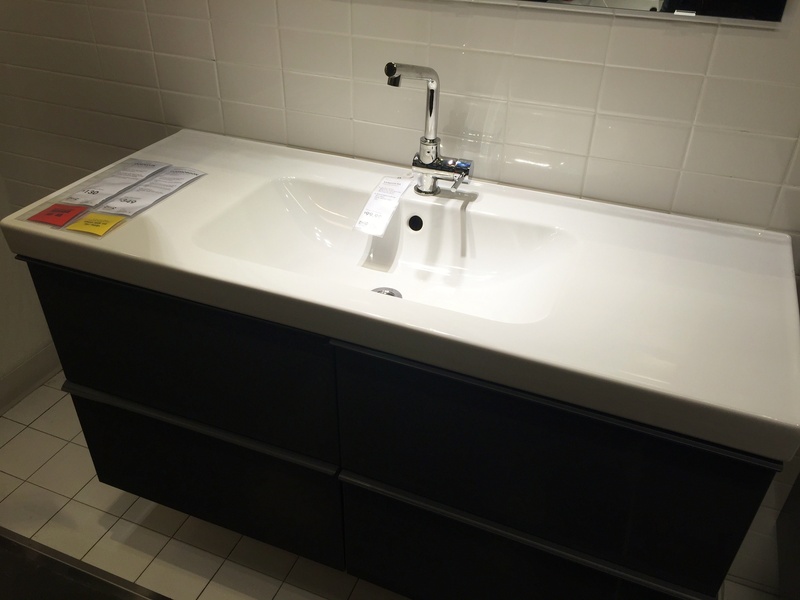 Which, of course,starts at Ikea….and our master bathroom overhaul. Yeah, we’re back on that again. For the sink – we chose the Odensvik 1-piece ceramic sink/countertop combo; nice size, easy to clean, and reasonably priced. Something not everyone knows about Ikea products, is that they are only compatible with other Ikea products. So, we agreed that we are just fine with the Lundskar faucet, in stainless steel. 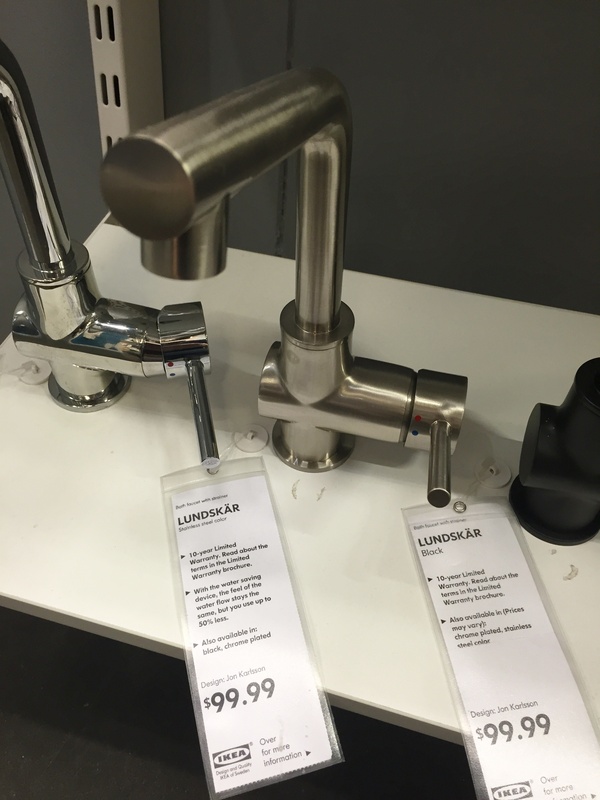 What we’re not “fine” with is Ikea’s options for sink bases. If I have to settle with the faucet, I’m not settling with the vanity base. We want something more open, not made of cardboard, and maybe a little industrial. Jamie and I were sitting in a restaurant, Quesa on Cedar Springs if you must know, discussing just this issue, when Jamie excused himself to use the little boy’s room. He returned moments later visibly excitedly. “Go look in the restroom”. “EEEEwwwwww”, was my first thought. ” I think I’ll pass”. Look what was in there……the exact sink, the Ikea Odensvik that was currently sitting in the back of our car, on a custom base made from 2 inch steel tubing. Game Over. We just need a welder. Flash forward almost 2 years. (That’s right….2 years later) We still hadn’t found a welder when our dear friend Rodd Grey was featured in The Dallas Voice for the incredible remodel he accomplished on his Richardson home. Read all about the transformation here. 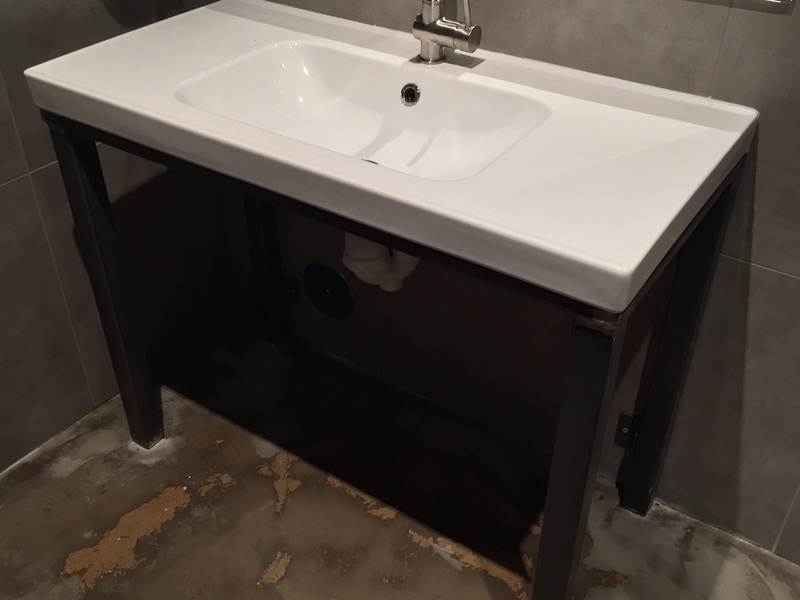 Rodd did almost all the work himself……including weld his own industrial vanities for both bathrooms. And best of all, Eddie can weld our vanity base between other projects. …and trekked out to Saschy, Texas to Eddie’s shop. (Just around the corner from the Allsup’s that’s about a half hour north-east of Oak Cliff.) He explained what he could do, using several words that I wasn’t familiar with, and I mostly just smiled and nodded. Eddie got all the little details we chatted about just perfect; adjustable feet, a little lip to hold the glass shelf, and brackets to secure the unit to the wall. Rodd’s vanities don’t have brackets. Eddie even made a template for the glass shelf on the bottom. Such a great guy. I have to tell y’all. This project has been so long in the making, that Jamie and I couldn’t get this thing in our bathroom fast enough. And honestly, I was a tiny bit worried that something would be off. Be it my measurements or Eddie’s interpretation of what I wanted. But there was nothing to be concerned about…….it fits like a freakin’ glove. It looks even better with the sink on top of it…. But we have an adventure scheduled this week, and as usual, our focus is elsewhere. But don’t lose hope, gentle readers, I assure y’all that we’re almost done. The vanity is stunning! Although, I am nearly as stunned to read about an Allsup’s on your blog… I had no idea they were that far East now. I grew up in NM and Allsup’s is home to some amazing gas station delicacies beloved by most New Mexicans and craved by those of us who have moved away. This post was a double win for me! Spectacular! Is there a website where you add Ikea hacks? Add it! That’s a great idea. I believe it’s ikeahacker.com I’ve had a few projects featured on there already……. Thanks for the update!……..still waiting …patiently! I know it is going to be great! The plumber, glass shower enclosure…..then a little styling….and she’s usable! We’re waiting too! It is going to be fabulous! That’s why we can’t wait. But I love how the stars align and things fall into place! Evidently “slow and steady wins the race” applies to you guys. I am too impatient to wait for anything! And I read this after you posted about your adventure! Have fun! I grew up about a mile from that Allsup’s! I didn’t know anyone outside of Wylie/Sachse/Murphy knew about it, haha! Most people cannot figure out how to say Sachse, either. Love that area. There’s a small Fina Mart in Wylie that appears to sell “BAIT SANDWICHES” as you head out toward the lake. Small town vestiges reassure me as we keep growing. No kidding? Small world. Speaking of small town names. I had a friend who used to work at Dairy Queen in Mexia, Texas. People would come in all the time and ask her how to pronounce that name of the place……she would look them square in the eyes and say, “Dare-E-Kween”. Bahahaha, yes!! That’s awesome. Small town solidarity!! I am just now seeing THIS and I am ECSTATIC for you! I LOVE THAT!!!! Hurry up, already!!!! Vickie!!!! The glass guys come tomorrow morning to frame the shower!!!! We are so excited…it’s almost over.